Live close to everything yet away from it all at Betts Lake, a lakefront enclave in one of America’s most acclaimed golf communities. 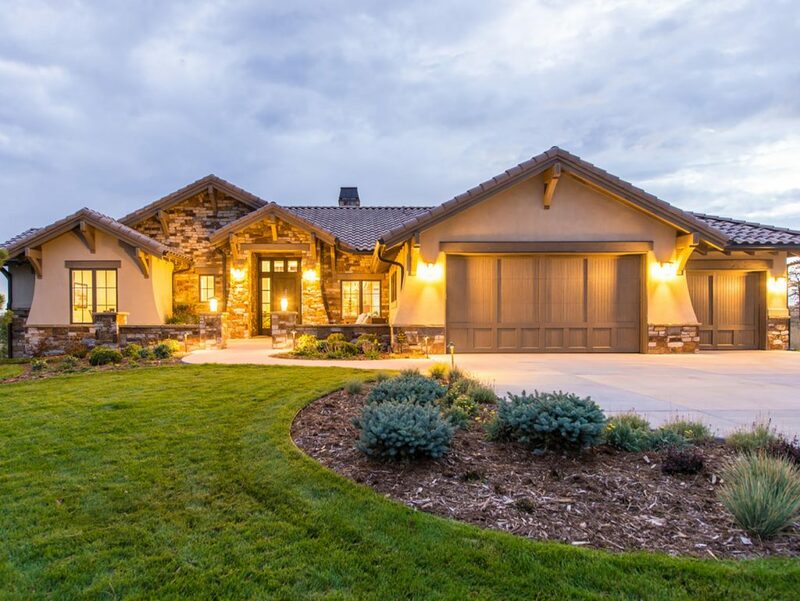 Offering spacious half to one-acre home sites, Betts Lake at Colorado Golf Club does what few others can—combine a smaller, more efficient footprint, with effortless main level living to create a coveted lock-and-leave lifestyle. The best part? Semi-custom homes start at $1.3 million. Designed by award-winning TKP Architects, built by Masterpiece Custom Builders and interiors by Jenelle Reyna Home, these semi-custom homes boast superior craftsmanship, extraordinary architectural detail, exceptional finishes, abundant natural light, generous storage, and finished three to four car garages. Buyers can choose from four distinct floor plans ranging from 3,400 to 4,700 square feet that live and entertain well—all featuring comfortable main level living, spacious walk-out lower levels, outdoor rooms, decks, and patios. Notable highlights include Wolf and Sub-Zero appliances, custom cabinetry, slab granite counter tops, hardwood floors, concrete tile roofs, hard-coat stucco and natural stone exteriors, and custom front yard landscaping. “And, the on-site Design Center offers a wonderful selection of high-end classic and timeless finishes, as well as the latest trends in interior design, included in the price of the home. Buyers always comment about the fun and satisfying experience they have working with a professional designer to help them personalize their new home,” says Sturtevant. Embrace a vast social life within the dramatic 44,000-square-foot private golf club, capturing spectacular views of the Front Range, with miles of trails for hiking, biking, and connecting with neighbors. For the avid golfer, Colorado Golf Club is a true sanctuary—ranked by Golfweek Magazine among its list of Top 100 Modern Courses, and recently awarded the 2019 Men’s Mid-Amateur by the US Golf Association. Experience the lifestyle this weekend at the new Colorado Golf Club sales center and model home located at 8776 Eagle Moon Way, Sunday, July 29th from 11:00 a.m. to 4:00 p.m.
For more information contact LIV Sotheby’s International Realty broker Mimi Sturtevant at 720-217-4393. To list your home with LIV Sotheby’s International Realty, visit www.livsothebysrealty.com or call 303-893-3200.